Shopping for a new Land Rover Range Rover Velar? Early adopters should be prepared to hand over their wallets. The best Velar is the top-dollar one for now: V-6 and its mandatory air suspension command more than $65,000 to start. The 2018 Land Rover Range Rover Velar is mid-size luxury SUV and a pretty thing. A very pretty thing. Its looks are deceiving. The SUV touts all the Land Rover off-road hardware, but we admit its eventual calling likely will be combing parking garages—not deserts. Its most convincing argument for beaucoup bucks is two 10-inch touchscreens in the center console that control infotainment and vehicle functions. Adapted from prior Jaguar Land Rover systems, the new infotainment system is responsive, sharp, and devastatingly gorgeous. It may be the most convincing argument yet that automakers don’t necessarily need to turn to Apple or Android to make infotainment user interfaces. But passersby won’t see the touchscreens. They’ll see an exterior sharpened with Land Rover’s chief designer Gerry McGovern’s pen-turned-whetstone. The Velar takes the F-Pace’s shape and reveals its elements: long hood, sloping roofline, massively open wheel arches. The Velar even rids itself of door handles to focus on its body lines. Under the hood, the Velar turns back to the Jaguar for inspiration—for better or worse. The base engine in the Velar is a gas-powered turbo-4 that makes 247 horsepower, upgradeable to a turbodiesel inline-4 that’s best trick is up to 30 mpg highway. The best option is a supercharged V-6 that makes 380 hp, but it’s not because of its sub-six-second 0-60-mph sprint—it’s the only engine that comes with an air suspension. That trio of engines is the same found under the Jaguar F-Pace and it’s starting to show frays around the edges. None are particularly refined, and although all of them aptly power the Velar, it’s not particularly thrilling to drive on the road. While the driver manages the road, other passengers are treated to an opulent interior that’s one of Range Rover’s best. Leather hides will adorn most cabins, while an optional premium cloth steals the show for us. (Yes, you pay more for the cloth. Yes, it’s worth it.) In top trims, the Velar adds a 12.3-inch digital instrument cluster that ups the viewable inches of screens to more than some of our TVs at home, while multi-adjustable front seats are all-day comfortable. We stop short of saying the same for the rear only because tall passengers may be asking for a more leg room. 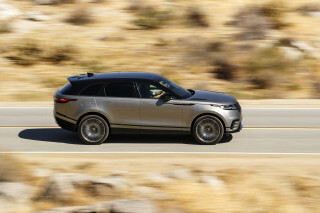 But shod with 22-inch wheels, a light exterior tone, and black roof, most people may spend more time outside the Velar looking at it than inside. It’s that stunning. The Land Rover Range Rover Velar is a new standard for how SUVs should look, inside and out. The 2018 Land Rover Range Rover Velar is the best-looking SUV on the road today, inside or out. The Velar rids itself of door handles, curvy lines, and frippery in favor of a clean profile and basic interpretation on proportions. 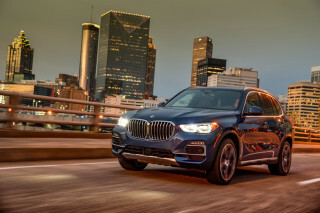 The hood looks impossibly long for an SUV, a single character line drawn from the headlights reaches back toward the tail in a long, uninterrupted crease. Copper accents on the front fenders are painfully on-trend and can be covered with an optional black package, but why? The Velar cuts the most efficient hole in the wind of any Land Rover before it, and the Velar looks every bit worth the effort. Inside, the Velar strikes out on a different path. While the interior is very modern and clean with brushed aluminum accents, an unbroken span of leather on the upper dash, and an understated center console, it’s hard to ignore the 20 inches of touchscreens fitted into the center console. High-tech and elegant aren’t mutually exclusive. It’s in the details that Range Rover starts to complicate the interior of the Velar, but not excessively. A new diamond perforation pattern on the seats repeats the Union Jack across the hides, a texture with hundreds of raised ridges adorns the dash as an option. An optional premium cloth serves as notice: the Velar is a new standard. Upper trims get the works across the doors and other details, but no Velar feels cheap. There’s not a bad pick when it comes to engines, but we’d opt for the V-6 and its air suspension in the 2018 Range Rover Velar. In some respects, the 2018 Range Rover Land Rover Velar is very similar to the Jaguar F-Pace, with which it shares a structure and powertrains. In some respects, the two couldn’t be more different. Most Land Rover Range Rover Velars will have a supercharged V-6 under the hood that makes 380 horsepower and 332 pound-feet. It’s enough to motivate the Velar up to 60 mph in 5.3 seconds, but it doesn’t feel that fast. It’s a V-6 that’s most promising attribute is that it’s the same size as a V-8 (the extra two cylinders are actually filled in, and a balance shaft is added) but the V-6 isn’t particularly refined. At full chatter, it doesn’t emit good noises, but thankfully the Velar features plenty of sound-deadening material and a sublime sound system keeps those at bay. The base gas-powered turbo-4 is the second most popular engine and is a relatively good solution—especially considering the V-6 carries a $9,500 price premium. 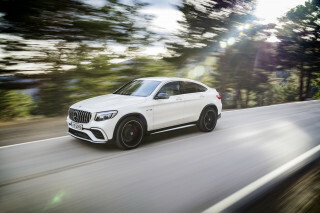 The turbo-4 makes 247 hp and 269 lb-ft, and only takes 1 second longer to sprint up to 60 mph. It commits one of the same sins as the V-6: the turbo-4 doesn’t sound all that confident at full throat. Highway passing maneuvers will take pre-planning—and a few clicks down on the paddle-shifters—to execute. According to Range Rover, one in 10 buyers will opt for the available turbodiesel and it’s hard to argue against conventional wisdom. At just $1,500 over a comparably equipped turbo-4, the turbodiesel is relatively modestly priced, but its value is only found in long highway jaunts. Off-road fans may appreciate the diesel’s 317 lb-ft of pull low in the rev range—but not many off-road fans will consider a Range Rover with 20-inch wheels anyway. The standard 8-speed automatic is a willing, and whisper quiet, assistant to all engine. In all applications, it blends into the background without much to talk about—only a little hesitation to kick down requisite gears in the turbo-4 to pull off a highway pass. Paddle shifters help. The base suspension setup is a double wishbone up front and integral rear link combination at the rear. Turbo-4 (gas or diesel) models do without adjustable suspension this year, V-6 versions get an air adjustable setup that can raise or lower the Velar 3 inches, up to a total of 9.9 inches for ground clearance. With the V-6 and up to 22 inch wheels at each corner, the adjustable setup is mandatory. The Velar’s different off-road hardware compared to the Jaguar F-Pace, including much longer wheel travel, keeps the Velar’s corners busy—sometimes to the detriment of passengers. We’d opt for the 20-inch tires instead (our preference for the F-Pace too) that seem like the compromise between fashionability and comfort on the road. Regardless of suspension, the Velar steers accurately and confidently, but the feeling through the wheel is always sugarfree. Even with sport steering engaged, which pumps additional heft through the wheel, the electric power assist rack conveys a somewhat artificial elasticity common to most systems like it. The Velar is rated to tow up to 5,500 pounds with a V-6, or 5,200 pounds with a turbo-4. All Velar models are trimmed opulently, but upper trims make us wonder where we go from here. The Land Rover Range Rover Velar occupies an open spot for Jaguar Land Rover. 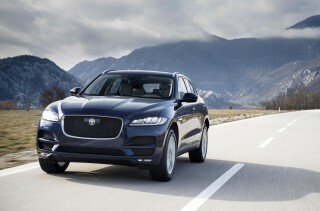 It’s related to the Jaguar F-Pace in size, which is 3 inches shorter and 3 inches narrower than the Range Rover Sport. It’s a foot longer than the Evoque, and more versatile. But it doesn’t encroach on the off-road chops of the bigger Range Rover models. Unlike the Range Rover Sport, the Velar doesn’t attempt to seat more than five—and it’s debatable if it should have gone that far. 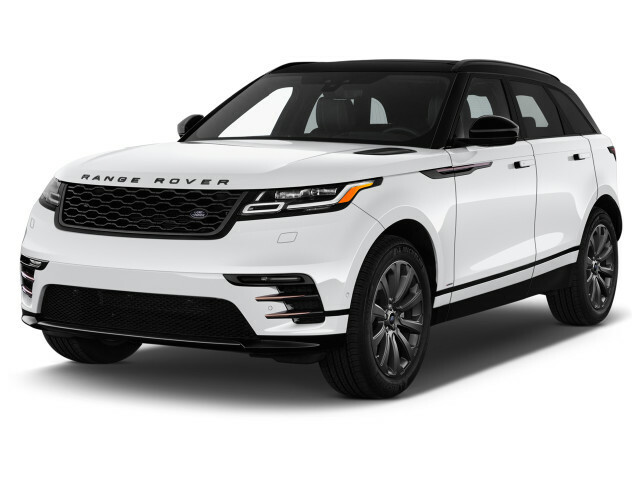 The Land Rover Range Rover Velar is an exceptional SUV—at an exceptional price. The front seats may be the best seats in the house. Multi-adjustable (up to 20 ways) seats are all day comfortable, made better by available heating, cooling, and massage functions on most models. Most models will be shod with high-quality leather seating services, but base Velars have synthetic leather and suede materials that we haven’t yet sampled. Higher trims get an optional cloth material that could appeal to eco-conscious buyers, or painfully trendy luxury shoppers. Either way, it’s worth a feel—and even perhaps worth the $715 extra. Rear seat passengers are afforded reasonably comfortable seats that can be heated, but taller passengers may be cramped for space. We found that a pair of 6-footers can sit behind other 6-footers, but knees may touch seats, shoulders may bump each other, names could be taken, and mistakes could be made. It’s not uncomfortable for adults, just not opulent as other parts of the car. The rear seats will electrically recline in most versions of the Velar, which may help longer torsos. With the rear seats up, the Velar carries 34.4 cubic feet of cargo, or 70.1 cubic feet with the seats folded down. Regardless of seating configuration, or who’s sitting where, the Velar is trimmed in luxurious materials that rival cars three times its price—Bentley, we’re looking at you. Range Rover’s newest infotainment system attracts attention, rightfully so. It’s a remarkable 20 inches of touchscreens that set a new standard. The 2018 Land Rover Range Rover Velar is too pretty to wad up. Automatic emergency braking as standard equipment on all trims should help. Federal and independent safety officials haven’t had the time to crash a 2018 Land Rover Range Rover Velar. We’re guessing they won’t have the money either. The lack of official crash data isn’t out of the ordinary, either. Most high-dollar, low-volume SUVs won’t see the business end of a brick wall during their lives. In the absence of official safety results, all Land Rover Range Rover Velar models are equipped with a standard complement of airbags, traction and stability control systems. Automatic emergency braking, a rearview camera, and lane departure warning systems are standard on all Velar trims. R-Dynamic trims get parking sensors, blind-spot monitors, drowsy driver monitors, traffic sign detection, and adaptive cruise control as standard. Active lane control is optional on that trim level, but standard on First Edition models. The 2018 Range Rover Velar ventures far—technologically speaking. It’s not for the faint-hearted or thin-walleted either. Land Rover knows now where its bread is buttered. While very old Range Rovers paid lip-service to creature comforts—despite well-heeled owners begging for them—the newest Range Rover hears them loud and clear. The 2018 Land Rover Range Rover Velar is decadently trimmed at top levels—with cloth, no less—and features more than 30 inches of visible high-definition screens in the front seats. It’s a remarkable experience, and one that will set the table for other Range Rovers to come. Base models, which are thoughtfully called “Velar,” come equipped with 18-inch wheels, synthetic leather upholstery, a leather-wrapped steering wheel, keyless ignition, an eight-speaker audio system, automatic dual-zone climate control, a 5.0-inch driver information display, and dual 10-inch touchscreens in the center console that we’ll discuss later. The next step, Velar S, adds 19-inch wheels, power adjustable front and rear seats, leather upholstery, an uprated audio system, navigation, and telematics services. All three powertrains are available at this grade. R-Dynamic SE variants are next and sport 20-inch wheels, a 17-speaker audio system, a 12.3-inch driver information cluster that replaces the analog gauges, advanced safety features, perforated leather upholstery (look closely and you’ll spot the Union Jack), parking sensors, aluminum interior accents, and exterior details. Land Rover expects that most shoppers will opt for the R-Dynamic HSE trim level and we’re actively shopping for new best friends if those people are interested. (Coincidence? Probably not.) HSE variants get 21-inch wheels, 20-way adjustable heated and cooled front seats, more Windsor leather in the cabin (always a good idea), more advanced safety features (we cover those separately), and a power-adjustable steering column. There’s a lot to like, but at more than $70,000 to start with a V-6, there better be. Top-of-the-line Velar First Edition versions go the whole way, and are relative values for reasons we’ll explain in a moment. 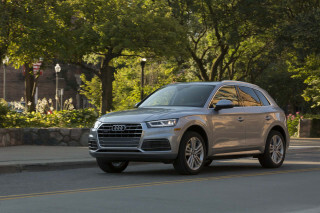 First Edition trim levels come with 22-inch wheels, a heated windshield, a 23-speaker sound system, head-up display, a surround-view camera system, a Fitbit-style “activity key” that can be used instead of a typical keyfob, front seat massage functions, heated steering wheel, suede headliner, premium carpeting, and special door plates and plaques. It’s possible to spec an HSE version to the same content as a First Edition trim, but that HSE would far exceed the First Edition’s eye-watering starting price of around $90,500. Yeah, we know. It’s dual 10-inch touchscreens that are canted toward the driver; the top screen tilts forward and the bottom screen is freestanding with space underneath for small items. A single volume knob is the only redundant hard key anywhere, and it’s useful. The Velar’s system is adapted from prior generations of Land Rover’s infotainment, but not copied over. The Velar’s menus are more straightforward and offer a different look on the tile design that older models have used. The home screen is clean and readable, swiping right brings up a configurable menu for commonly used items. Swiping left past the home screen brings up icons for all available commands. Navigation can pinch to zoom in and out in a relatively responsive manner, and the whole system is sharp with little lag between inputs. Where the top screen is evolutionary, the bottom screen will be revolutionary for most buyers. The 10-inch display features a small dropdown for redundant audio controls and phone functions. Aside from climate and seat controls, the second screen boasts is the nerve farm for Land Rover’s new terrain management system that toggles between sport, comfort, eco, and off-road modes including snow, sand, mud, and crawling. Each separate icon has its own beautiful tableau that serves as a reminder for each setting, and when used with the optional air suspension system, can be further configurable. The third member of Land Rover’s terrific trio is a 12.3-inch configurable driver information display that can show map data, vehicle settings, speedometer, tachometer, and other information in a beautifully rendered screen. Skipping the head-up display means that there are 32.3 inches of high-definition displays in many Velars—more real estate than most of our childhood televisions. The Range Rover Velar isn’t particularly frugal, but few in its competitive set are anyway. The Velar’s first priority isn’t fuel-economy, even though this may be the first Range Rover in history that doesn’t share aerodynamic properties with an M1 Abrams tank. 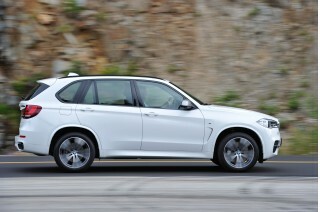 Gas powered turbo-4 models are rated higher: 21/27/23 mpg. 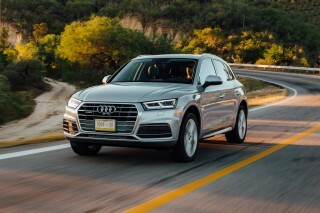 Turbodiesel models are the most efficient, but least popular. The EPA rates those at 26/30/28 mpg. Urea-based aftertreatment for its exhaust will require pricey fluids every 7,000 miles or so, depending on driving habits. Among mid-sized luxury SUVs, the Range Rover is in line with competitors. 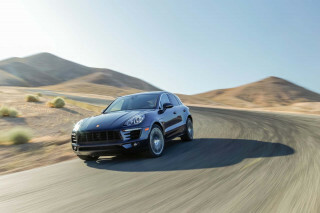 Most versions of the Porsche Cayenne and Macan average around 20 mpg combined, and the most efficient BMW X4 hovers around 23 mpg combined. 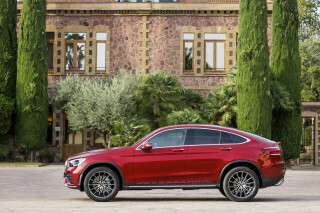 The Mercedes-Benz GLC-Class can manage 24 mpg combined, according to the EPA, but only with a 2.0-liter turbo-4. We expect that the next wave of competitors will include electrified powertrains to further improve fuel economy. Looking for a different year of the Land Rover Range Rover Velar?